Root canal treatment is required when the inside of your tooth becomes infected. It is a delicate procedure which will relieve you of symptoms such as swelling and general oral discomfort. 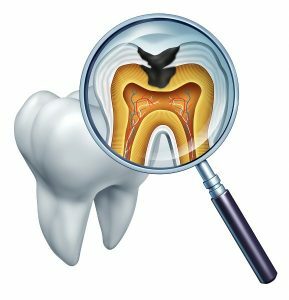 The inside of a tooth can become vulnerable to infection when there is a crack or break in the outer layer of enamel. Root canal treatment will be performed to remove the infection and to disinfect the interior of the tooth. At Northway Dental Practice, our dentists frequently perform this delicate and advanced dental root canal procedure for patients in the Maghull and Ormskirk areas. Your positive dental health is our priority and we strive to provide a high standard of oral care, especially when patients are experiencing infection and heightened sensitivity. Root canal treatment is an intricate procedure which entails the removal of the bacteria from the root canal system followed by sealing the tooth with a filling or crown. Local anaesthetic will be used around the affected tooth to ensure your comfort throughout the procedure. Please click here or call 0151 526 2701 to book your appointment now.